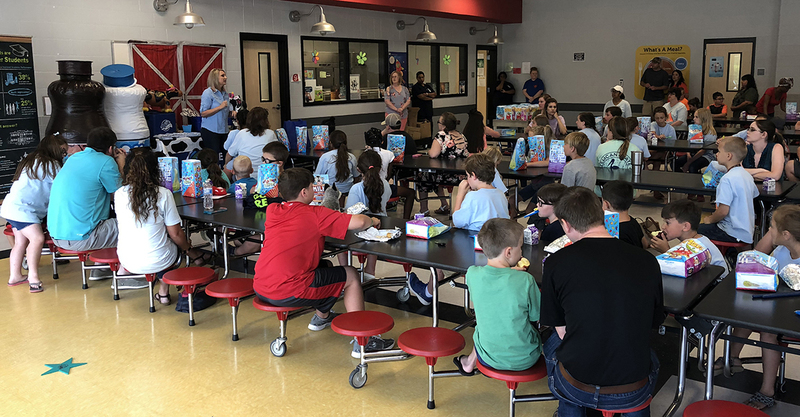 LaSalle Parish Schools Hosts Inaugural Summer Meals Program! No Kid Hungry Louisiana! LaSalle Parish Schools (LSPS) Child Nutrition Department is helping kids thrive this summer! Kids who rely on school meals during the school year, struggle to get enough to eat during the summer months. Free meals served at schools, libraries and community centers are the answer. 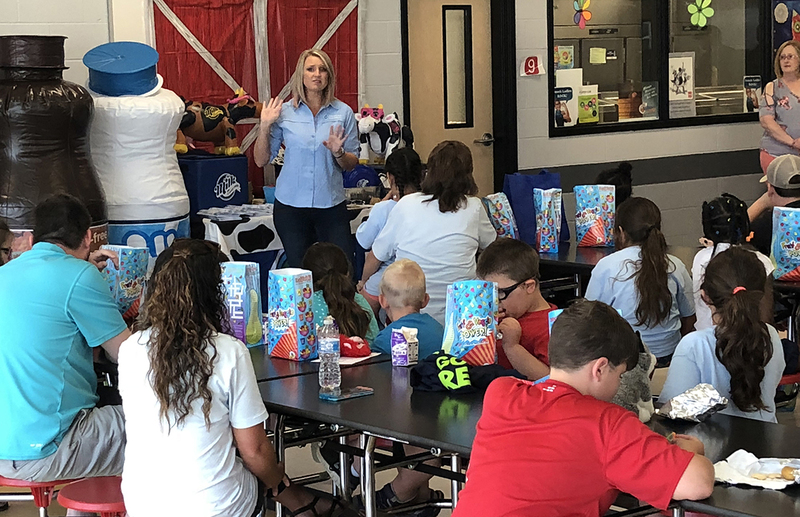 According to Kelly Thompson, Child Nutrition Supervisor of LSPS, "The summer of 2018 is the first time LaSalle Parish has ever offered the USDA Summer Food Service Program. This program enabled us to think outside of the box to help serve our community." The LSPS Child Nutrition Department partnered with the Scholastic Summer LitCamp. In June, over 250 students in kindergarten through fifth grade will have the opportunity to brush up on their reading skills with the goal of preventing summer slide. The camp, funded by The Rapides Foundation, is the perfect partner for a summer meals program. Kids at the camp receive a free breakfast and lunch each day. The peanut butter and jelly sandwich on wheat bread is the hands-down favorite entrée item on the summer menu according to Thompson. Thompson’s program has also partnered with the LaSalle Parish Library. Her program at the library will extend until August. By the end of the summer, this brand new program will have served over 6,000 meals. When asked for words of wisdom about starting a new summer program, Thompson said, “Start small, be creative and continue to look for partners. When one door closes, another one will open.” LaSalle is a rural parish in central Louisiana with 15,000 residents. The parish seat is Jena. What is No Kid Hungry Louisiana? Ending childhood hunger is a priority for Louisiana. 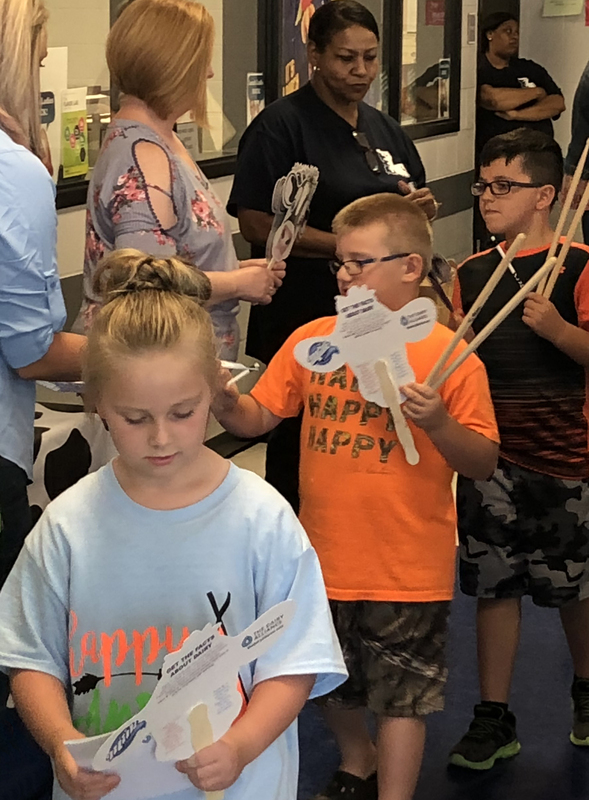 Implementation of the statewide No Kid Hungry Louisiana campaign will increase access to breakfast, lunch and summer meals for Louisiana’s children. Gov. John Bel Edwards and First Lady Donna Edwards announced the No Kid Hungry Louisiana initiative in September 2017. One of the main goals of the program is to focus on increasing Summer Food Service Program (SFSP) participation throughout the state. What is the Summer Food Service Program? The SFSP is a federally-funded, state-administered program. The SFSP reimburses providers who serve free healthy meals to children and teens in low-income areas during the summer months when school is not in session. For more pictures of the event, visit LaSalle Parish - Inaugural Summer Meals Program Kickoff Event.